A majority of Toronto city councillors are condemning Ontario Premier Doug Ford's plan to slash the size of council, while the provincial opposition called the shocking move and abuse of power on Monday. A majority of Toronto city councillors are condemning Ontario Premier Doug Ford's plan to slash the size of council, while the province's opposition leader called the move an abuse of power. Toronto city council voted 24-17 on Monday to convey its opposition to Ford's plan, and also voted to ask its solicitor to examine its validity and constitutionality. Council also supported Mayor John Tory's motion demanding the province hold a binding referendum on the number of Toronto wards and their boundaries. If the province won't hold the referendum, council is seeking a change to the Municipal Elections Act so it can put the question on this year's ballot. However, it's unclear whether any of that will change the Progressive Conservative government's mind. Ford introduced the Better Local Government Act at the provincial legislature on Monday, moving to slash the number of city council seats from 47 to 25 ahead of the Oct. 22 municipal election. He says it will end the "dysfunction" at city hall. With the PCs holding a majority government, the act could pass in the coming days. Opposition leader Andrea Horwath attacked the plan in a fierce back-and-forth with Ford during question period. "Interfering in local elections to steal power away from the voters is not active leadership. It is an abuse of power," Horwath said. She alleges Ford's plan, which seems to have caught nearly everyone at city hall, including the mayor, offguard, was a secret plot "cooked up in a backroom." Horwath also slammed the PC premier, who was elected on June 6, for not bringing the idea up on the campaign trail. Ford fired back that "people love the idea," adding "out of everything I've done in politics I've never had a better response." Ford went on to criticize city council — on which he served for one term, while his brother Rob Ford was mayor — calling it "dysfunctional." He said councillors have failed to maintain infrastructure or build affordable housing and transit, but did not provide specific examples. He also criticized driving conditions in the city. "There's gridlock in the streets and there's gridlock at city hall," he said. Ford has also suggested the cuts would save the city some $25 million over four years, while streamlining the debate and decision-making at council meetings. The bill amends several existing laws to realign Toronto municipal wards with provincial and federal ridings; over-riding a 2016 city council decision, to take effect this year, that expands the ward map from 44 seats. 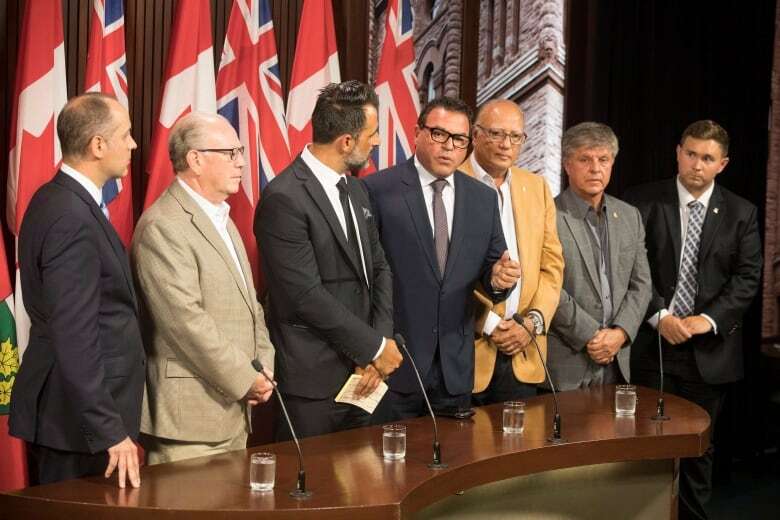 The bill also extends the nomination period for those seeking a council seat to mid-September and cancels elections for the position of regional chairs in southern Ontario's Peel, York, Muskoka and Niagara regions. The size of councils in other Ontario cities would not be changed. Tory, for his part, says it appears unlikely the city can stop the change, but should question the process. "It's one of those cases that's difficult for us because of the broad powers the province has, but I think we should be taking a look at every possible legal avenue, really, to hit the pause button on this," he said. "While I've never been opposed to discussing changes to Toronto's governance, I believe it is important to consult with the people about any proposed changes," the mayor added in a statement Monday evening. The city solicitor is expected to report back on Aug. 20, the statement said. 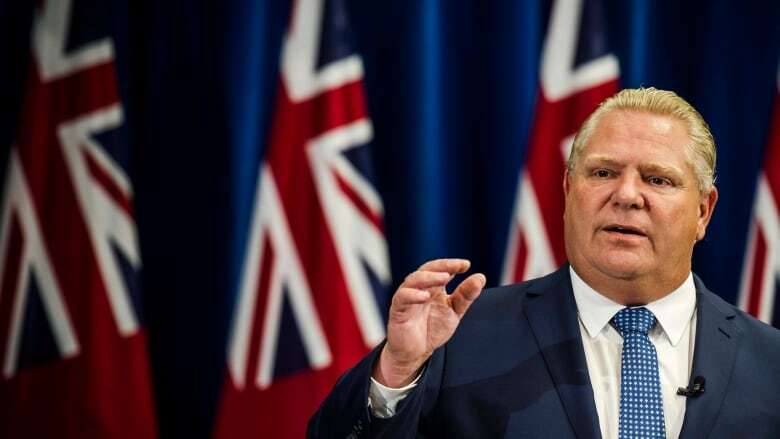 Experts have said that one of the ways to delay Ford's plan from taking effect during the campaign is to mount a legal challenge and seek a court injunction.